André-Marie Ampère was born in Lyons, France in 1775 to Jeanne-Antoinette Desutieres-Sarcey and Jean-Jacques Ampère. His father was a successful businessman and was devoted to his son’s education. Ampère became interested in mathematics at an early age and submitted his first academic paper in mathematics when he was only thirteen years old. The rejection of the paper merely inspired him to study harder. The French Revolution affected the entire family. Ampère’s father had accepted a civil service position and was eventually executed by guillotine. In 1802 Ampère accepted a professorship of physics and chemistry at Bourg Ecole Centrale. He published several mathematics treatises and then took a post at the Lycee in Lyon. After his first wife died in 1803, he was appointed to a post at the Ecole Polytechnique in Paris, despite his lack of formal education. He remained in this position for nearly twenty years, a period which included a second brief and unhappy marriage. Ampère had wide-ranging intellectual interests. He worked on the classification of chemical elements and a theory of light. He was also interested in metaphysics and physics and brought a deep sense of spirituality to his academic work. In 1814 he was elected to the Institut National des Sciences. 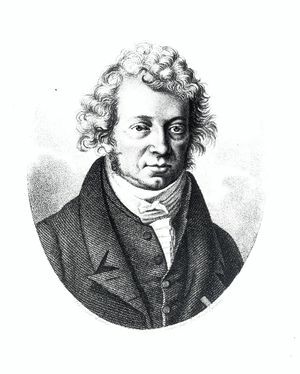 After Hans Oersted’s 1820 experiments proved the magnetic effects of electricity, Ampère attempted to formulate a combined theory of electricity and magnetism, thus founding the field of electrodynamics. His formulation of the mathematical description of the magnetic force between two electric currents is known as Ampère’s Law. Although he was not a methodical experimenter, he was the first person to develop measuring techniques for electricity. His contributions were recognized by the international scientific community when he was elected to the Royal Society of London in 1827. Ampère’s electrodynamic theory was fundamental to nineteenth-century developments in electricity and magnetism. This page was last edited on 13 January 2016, at 21:06.